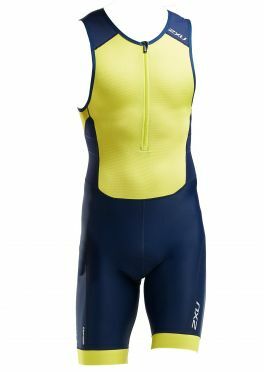 The 2XU Perform sleeveless trisuit blue/yellow men has also received a major update and is now equipped with the latest 2XU technical fabrics that help you to conquer the rigors of the triathlon. SBR Power is built for muscle stabilization and lower body support for unmatched power and durability. 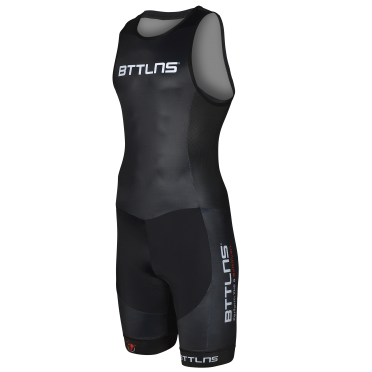 The trisuit features the comfortable LD chamois which is quick drying and water repellent. The Italian SBR Vent fabric is exceptionally aerodynamic and keeps your body pleasantly cool when needed most. Paired perfectly with SENSOR MESH X zoned paneling for vital moisture management and air flow management, this garment is built for all-round performance across short and long course racing. 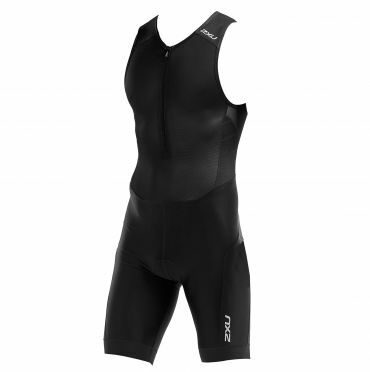 The 2XU Perform sleeveless trisuit black men has also received a major update and is now equipped with the latest 2XU technical fabrics that help you to conquer the rigors of the triathlon. SBR Power is built for muscle stabilization and lower body support for unmatched power and durability. 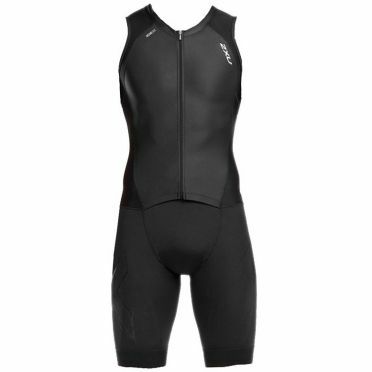 The trisuit features the comfortable LD chamois which is quick drying and water repellent. The Italian SBR Vent fabric is exceptionally aerodynamic and keeps your body pleasantly cool when needed most. Paired perfectly with SENSOR MESH X zoned paneling for vital moisture management and air flow management, this garment is built for all-round performance across short and long course racing. 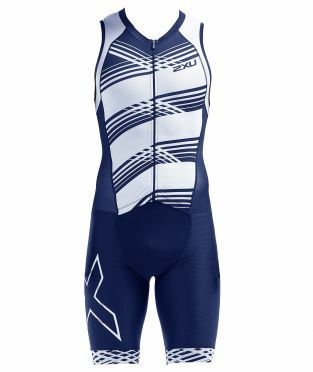 The 2XU Perform short sleeve trisuit blue/yellow men has also received a major update and is now equipped with the latest 2XU technical fabrics that help you to conquer the rigors of the triathlon. SBR Power is built for muscle stabilization and lower body support for unmatched power and durability. 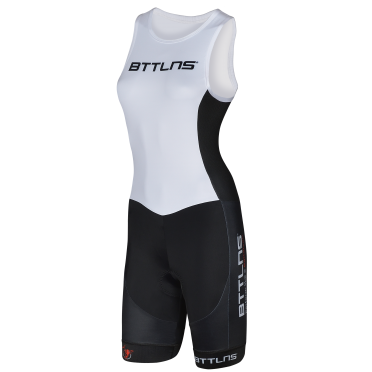 The trisuit features the comfortable LD chamois which is quick drying and water repellent. The Italian SBR Vent fabric is exceptionally aerodynamic and keeps your body pleasantly cool when needed most. Paired perfectly with SENSOR MESH X zoned paneling for vital moisture management and air flow management, this garment is built for all-round performance across short and long course racing. 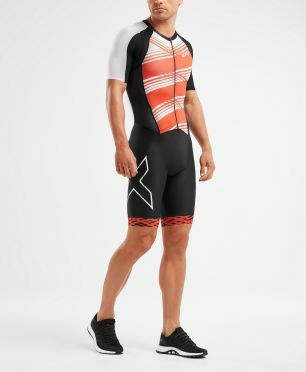 The 2XU Perform short sleeve trisuit black men has also received a major update and is now equipped with the latest 2XU technical fabrics that help you to conquer the rigors of the triathlon. SBR Power is built for muscle stabilization and lower body support for unmatched power and durability. 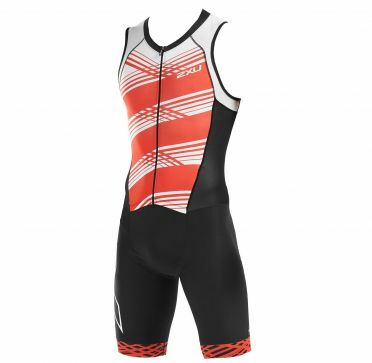 The trisuit features the comfortable LD chamois which is quick drying and water repellent. The Italian SBR Vent fabric is exceptionally aerodynamic and keeps your body pleasantly cool when needed most. Paired perfectly with SENSOR MESH X zoned paneling for vital moisture management and air flow management, this garment is built for all-round performance across short and long course racing. 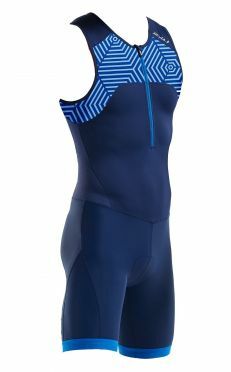 Completely redesigned in accordance with 2XU’s latest RMIT University research, the 2XU Compression sleeveless trisuit blue/white men promises superior ventilation and power. PWX 105D POWER MESH fabrication with muscle mapping ensures muscle stabilization for greater power output on the bike and the run, while muscle oscillation support reduces fatigue for greater endurance. The industry-leading SWISS VENT fabric provides outstanding breathability, keeping the skin surface temperature as low as possible whilst blocking harsh UV rays. This range promotes endurance and provides protection against the challenges of long course racing; injury, fatigue, heat and the sun. Completely redesigned in accordance with 2XU’s latest RMIT University research, the 2XU Compression sleeveless trisuit black/red men promises superior ventilation and power. PWX 105D POWER MESH fabrication with muscle mapping ensures muscle stabilization for greater power output on the bike and the run, while muscle oscillation support reduces fatigue for greater endurance. 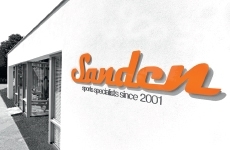 The industry-leading SWISS VENT fabric provides outstanding breathability, keeping the skin surface temperature as low as possible whilst blocking harsh UV rays. This range promotes endurance and provides protection against the challenges of long course racing; injury, fatigue, heat and the sun. 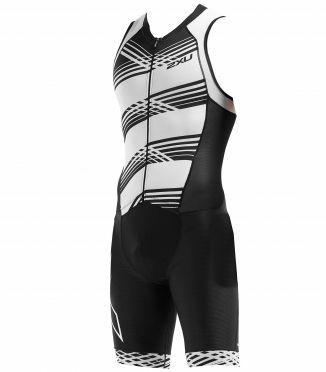 Completely redesigned in accordance with 2XU’s latest RMIT University research, the 2XU Compression sleeveless trisuit black/white men promises superior ventilation and power. PWX 105D POWER MESH fabrication with muscle mapping ensures muscle stabilization for greater power output on the bike and the run, while muscle oscillation support reduces fatigue for greater endurance. The industry-leading SWISS VENT fabric provides outstanding breathability, keeping the skin surface temperature as low as possible whilst blocking harsh UV rays. This range promotes endurance and provides protection against the challenges of long course racing; injury, fatigue, heat and the sun. 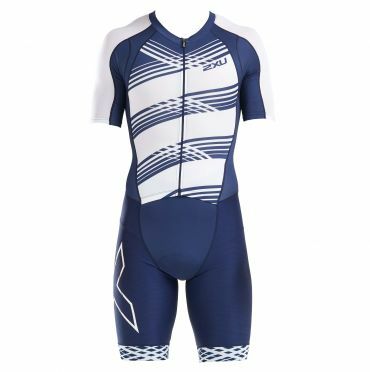 Completely redesigned in accordance with 2XU’s latest RMIT University research, the 2XU Compression short sleeve trisuit blue/white men promises superior ventilation and power. PWX 105D Power Mesh fabrication with muscle mapping ensures muscle stabilization for greater power output on the bike and the run, while muscle oscillation support reduces fatigue for greater endurance. The industry-leading Swiss Vent fabric provides outstanding breathability, keeping the skin surface temperature as low as possible whilst blocking harsh UV rays. This range promotes endurance and provides protection against the challenges of long course racing; injury, fatigue, heat and the sun. Completely redesigned in accordance with 2XU’s latest RMIT University research, the 2XU Compression short sleeve trisuit black/red men promises superior ventilation and power. PWX 105D Power Mesh fabrication with muscle mapping ensures muscle stabilization for greater power output on the bike and the run, while muscle oscillation support reduces fatigue for greater endurance. The industry-leading Swiss Vent fabric provides outstanding breathability, keeping the skin surface temperature as low as possible whilst blocking harsh UV rays. This range promotes endurance and provides protection against the challenges of long course racing; injury, fatigue, heat and the sun. 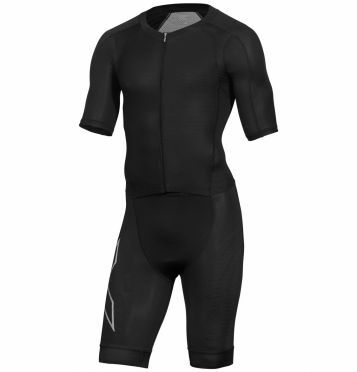 Completely redesigned in accordance with 2XU’s latest RMIT University research, the 2XU Compression short sleeve trisuit black men promises superior ventilation and power. PWX 105D Power Mesh fabrication with muscle mapping ensures muscle stabilization for greater power output on the bike and the run, while muscle oscillation support reduces fatigue for greater endurance. The industry-leading Swiss Vent fabric provides outstanding breathability, keeping the skin surface temperature as low as possible whilst blocking harsh UV rays. This range promotes endurance and provides protection against the challenges of long course racing; injury, fatigue, heat and the sun. 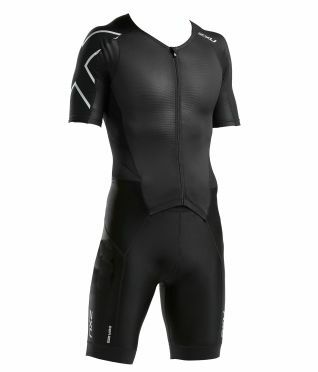 Innovative Sailfish Competition trisuit black men 2018 with front-zip and Carbon-Power-Tapes for best performance. Kinetic design with innovative design lines create a dynamic, technical look. High-quality Powertech Skin Material for extra muscle support and improved blood circulation.